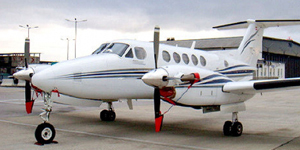 The King air BE 350 is the largest of the Beechcraft Super King Air family and offers a lavatory. You can find this twin engine turbo prop aircraft, the “Hard Working” plane equipped with seating for 6-11 passengers as you will see in the specs above. 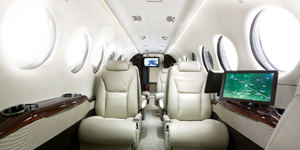 There are a few variations of this aircraft for sale which include the B350, the King Air 300 and 350i. You will only minor adjustments and upgrades to interior, fuel capacity and range. Please contact us now for a charter quote by filling out the form on the right or calling directly.